Be drawn into a world of earth, sky and mystic energy in our sensory rooms, suites and villas, designed to promote a complete sense of wellbeing. Wooden decor and locally woven furnishings in soft, bright colors invite you inside. 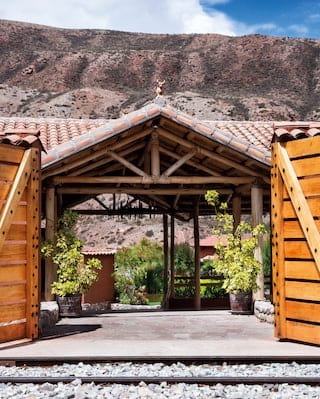 Floor to ceiling windows connect you with the Sacred Valley beyond. As cobalt skies deepen to indigo, step out onto wide flagstone terraces edged with vibrant flora for a quiet nightcap. Enjoy a luxurious stay in the Sacred Valley and journey to Machu Picchu aboard the Vistadome train, departing from the hotel's exclusive train station.